Equity markets did a U-turn on Friday, erasing all of Thursday’s losses, mainly on the back of lower crude prices and the strengthening rupee. 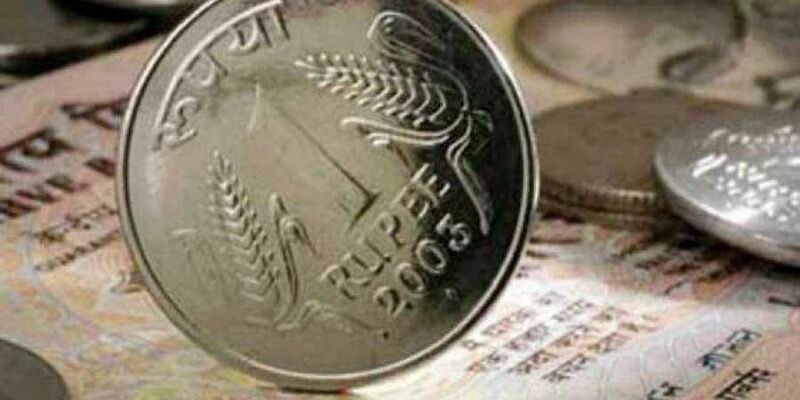 MUMBAI: Equity markets did a U-turn on Friday, erasing all of Thursday’s losses, mainly on the back of lower crude prices and the strengthening rupee. 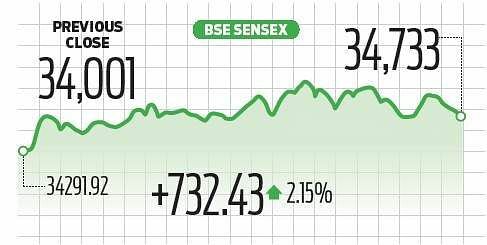 Benchmark indices BSE Sensex and NSE Nifty both closed with over 2 per cent gains at 34,733.58 and 10472.50, respectively. “If not to investors and traders, the last two days of external developments is ‘manna from heaven’ to RBI and the government, who were perplexed on way forward steps and actions, when nothing worked so far,” said market commentator Moses Harding. While government efforts to curb the rupee’s fall are not showing tangible effects, the global correction in crude prices has brought relief. Even as auto, energy and metal stocks moved higher, technology stocks fell, dragged down by heavyweight TCS. The TCS stock fell 3 per cent to Rs 1,918.4 as some brokerages cut price targets and on outlook that the double-digit growth the company posted may not continue in the next fiscal. “Our expectation is growth would normalise from more than double-digit levels in FY19F to 7-7.5 per cent in FY20F as FY19 had the benefits from bunched up deals (especially in insurance platform BPO) which might be difficult to replicate,” Nomura said in a research report. Technology stocks had turned favourites in a falling market, as they are seen as benefitting from a depreciation of the rupee. Most of the Asian markets also recovered on Friday after the overnight collapse of the US markets with the Dow Jones index closing 500 points down. “When developed markets do well, EM (emerging markets) sink, and when DMs (developed markets) are in trouble, EMs gain! That’s the set theme now! Good for us also from the resultant impact dilution in USD strength, ease in US Treasury yields and more importantly Brent giving up gains from $85-90 to $75-80,” Harding said.